Executive Director, Stephen Heavener was one of four presenters at this year's SBA Finance Fair held at Southern New Hampshire University. 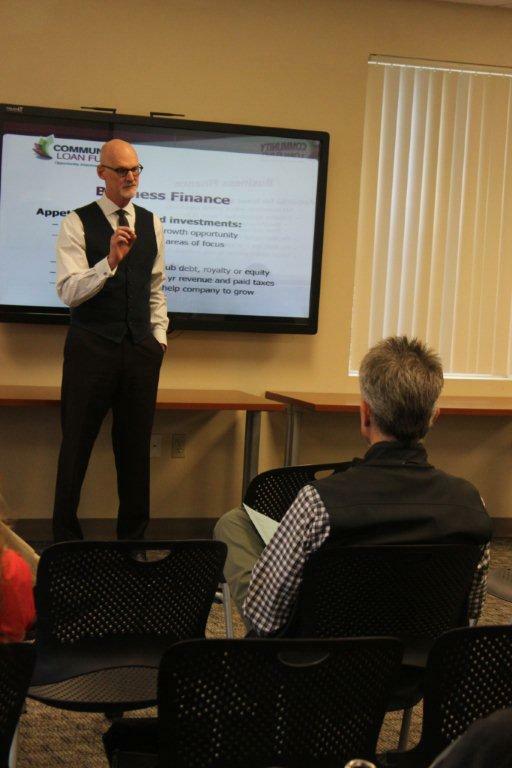 The seminar titled, "Alternative Financing", provided an overview of financing options for business owners. Stephen presented along side John Hamiliton of the Community Loan Fund. The two discussed their organizations' mission and the potential for alternative financing that is available in New Hampshire when a bank is not an option. Stephen did stress the working partnerships CRDC has with New Hampshire banks and provided an overview of the products and services available through CRDC. 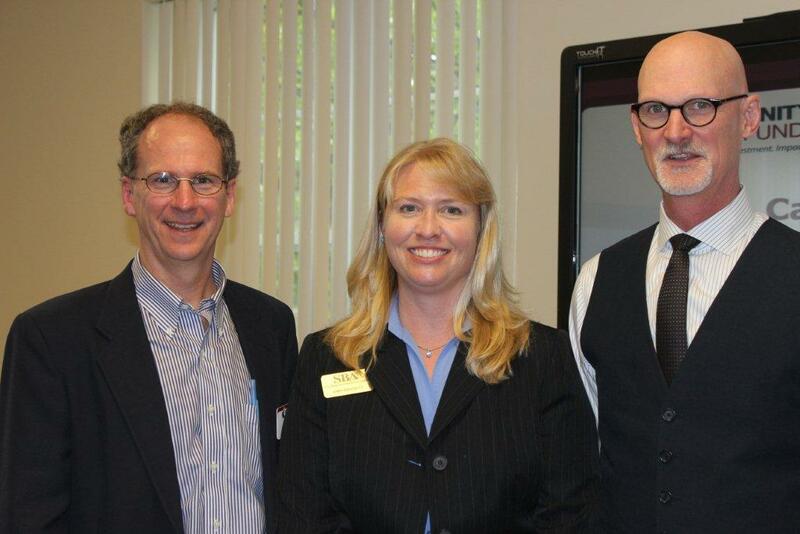 PHOTO CAPTION - John Hamilton, from the Community Loan Fund, with Amy Bassett, SBA NH, and Stephen Heavener, CRDC Executive Director at the 2014 SBA Finance Fair held at SNHU.